Imagine a scenario where you have to update some information and you have multiple websites to platform your product. 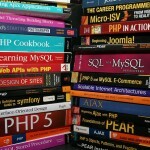 Moving from one website to another, logging in (with all those passwords to remember) clicking on the update button every single time, not only is it boring, because of all the manual work involved, there are also chances that you might leave out one or two websites in the whole rigmarole. 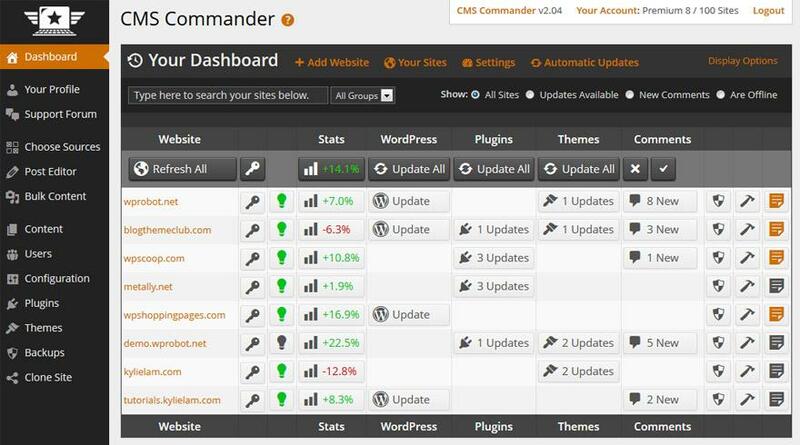 CMS Commander is a service that allows you to manage multiple websites through one dashboard. 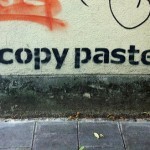 All you have to do is add the plugin to each site you want to manage. Once you have that sorted, if you want to post updates, make entries, remove or add plugins etc. all you need to do is log onto one site, make the update, and CMS commander will do the rest for you. 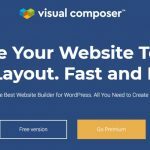 While there is the obvious advantage of the service that there are a lot more features that really make the CMS Commander stand out from several similar services. First of all CMS Commander offers you a myriad of options in a very user friendly manner. 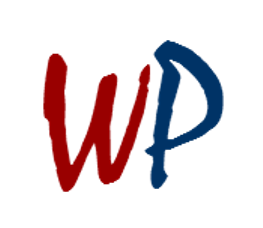 It offers a WYSIWYG editor, which is far more effective than the regular WordPress editor, and also comes with tools to rewrite content, make it SEO friendly etc. Other management tools include- bulk posting, bulk editing, plug in storage and installation, one click updates among many others. Along with the various WordPress options, CMS Commander also offers auto blogging solutions, website cloning, and several advertising options- so that you can monetise from your sites like- link generation; wherein you don’t only earn with ads but also become a platform for linking to other content providers to earn yourself a commission. Bulk content generation – to fill up new sites with content from various sources, and providing you 20 related content sources – which basically means CMS Commander will scan the internet for related videos, images, articles etc., from major sites like YouTube, Amazon, Google Yahoo etc. to boast your page rating and popularity. Now CMS Commander is not only about managing multiple WordPress accounts, they also take security and maintenance very seriously. Among the tools offered by CMS Commander, services like Automatic WordPress back up, uptime monitoring, Google analytics integration, network traffic stats, etc are very useful. Features such as 2- factor authentication service, which is provided at CMS Commander, is fast gaining popularity as it asks for not just one but two authentications before you can access data. It is no wonder then that a company that was launched just over a year ago already helps manage over 20000 sites. The service is priced depending on how many blogs or WordPress accounts you manage. While the basic consists of $0.20 per blog – if you maintain anywhere between two to 4 blogs, for management of five blogs – you have a rate of $4.90 per month, which is also being offered at $49 per year. While 10 websites’ management is priced at $9.90 per month, package for 50 comes at $29.90per month and that for 400 websites at $119.90 per month. The service also has intermittent options that for users whose websites are not rounded off to match these pricing plans. The one good thing about the service is that there are no hidden charges or any contractual based payments which means if you wish to leave- you can just walk out without answering to anyone. If you are still sceptical about the service, you can always opt for a trial version, which is also offered on the site. With a free 30 day trial option, you can get a feel of what the service is capable of and how well it fit into your business scheme. Keep in mind though, the free version, does come with a few restrictions like no access to Automatic backups, bulk plugins updates, websites cloning and a few other features. Never the less it is still worth the while, giving CMS Commander a shot. At the end of the day, CMS Commander can help save a lot of your time on maintaining websites, and using your time on real business tasks. CMS Commander has some really great features to offer that puts much above its competitors. What more or What less, even if you still got a doubt, then as I mentioned above why not try the service via opting for a trial version.